Children who spend long stretches of time seated in a wheelchair can be at risk of pressure sore development, and may require a cushion that provides additional postural support. The Vicair Academy Junior Paediatric Pressure Relief Wheelchair Cushion is made with hundreds of small, air-filled SoftCells, distributed between six adjustable compartments to provide a dynamic seating surface that can be adjusted for each child's needs. Able to accommodate a range of postural asymmetries, this cushion is suitable for use by children at very high risk of pressure sore development. Vicair Academy cushions provide a unique combination of weight distribution, comfort, positioning and postural support, making them an excellent pressure relief solution for those at very high risk of pressure ulcer development. These cushions are fully adjustable in cell density, allowing them to be customised to provide the best relief for each specific child. This cushion is an ideal choice for children who require postural support and additional pelvic stability. With six independently-adjustable compartments filled with air cells, this cushion is able to provide optimal pressure distribution, support and stability for each child, while adapting to their specific body contours. Vicair cushions are designed with a unique and innovative pressure relief system consisting of hundreds of air-filled SoftCells. These small, pyramid-shaped cells are arranged in strategically placed compartments, allowing for bespoke support and relief. Flexible and fabric-coated, these cells have a low friction level, allowing them to move with the child to produce a significant reduction in shear forces while conforming to body contours. This cushion is made to be easy to use and maintain, as it is lightweight and each SoftCell is independently replaceable if damaged. Once the cushion has been adjusted to the child's needs, there is little intervention required, meaning less disruption for the child and carer. The cushion is simple to transfer from chair to chair, making it ideal for active children. This cushion is available with two choices of cover. Both covers feature and anti-slip bottom for stability and a two-way stretchable top for comfort and reduction of shear forces. The cushions are fitted with Velcro tape on the undersides, allowing fixation to the wheelchair seat. Comfair Cover: This cover is made with breathable fabric, allowing it to provide excellent comfort for the child. 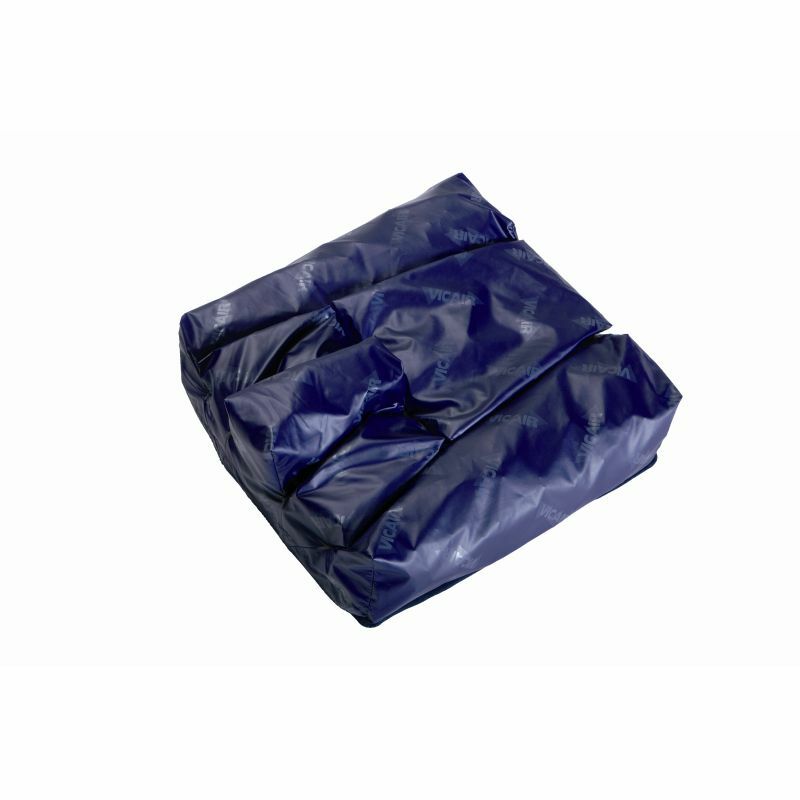 Incontinence Cover: This cover is made with waterproof and incontinence-proof material, allowing it to provide excellent protection to increase cushion longevity.